An evening of diverse listening. Wether it’s about experiencing performances in the realm of conceptual electronica or live music wih origins in classic culture; you’ll find that math is ultimately at the root of almost everything. It just manifests itself in different ways. Artists performing: slide guitarist Manish Pingle, musician and multi-media artist Joe Cantrell, and writer and sound artist Ian Hatcher. 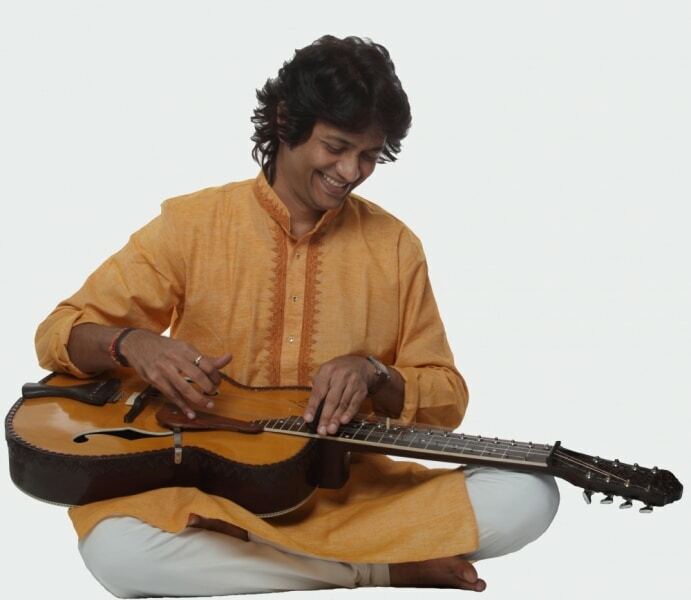 Born in a family of music lovers, Manish Pingle was introduced to Indian classical music by his mother. He started his initial training in Indian slide guitar from Late Shri Vishnu Walivadekar of Indore. He is one of the senior Disciples of the Legendary Sitar player, Ustad Shahid Parvez of Itawa Gharana. Manish will perform a mesmerizing slide guitar concert with Heiko Dijker. Heiko is an Amsterdam based Tabla player whose playing is marked by enthousiasm and energy, depth of knowledge and rythmic poetry. He left Holland at a young age, hitch-hiked around the world on his own, Heiko was drawn into Classical Indian music and the beauty of India. Ian Hatcher is a text / sound / code / performance artist based in New York. He will perform pieces from his book Prothesis amongst others. Prosthesis is a collection of texts infused with the syntax of source code and the cadences of machinic speech, concerned with the question of where the apparatus ends and the body begins. The book’s text, composed in part with custom software, combines human and computer languages into a hybrid of uncanny musicality. It functions both as poetry on the page and as a set of scores for Hatcher’s virtuosic live performances. Cosmosmose just released their first 7″ with Ian Hatcher named “Drone Pilot”. Joe Cantrell is a musician and multi-media artist specializing in sound art, installations, compositions and performances inspired by the implications and consequences of technological objects and practices. His work examines the incessant acceleration of technology and media production, its ownership, and the waste it produces. Joe is a guest at the WORM Sound Studio in the days prior to this DE PLAYER event, where he will demonstrate his gear.